When a product is recalled due to a safety defect, consumers who own the products often do not receive notice in time to prevent injuries. While many recalls occur because at least one consumer already has sustained injuries from the dangerous product, it can take awhile for news about a design, manufacturing, or marketing defect to spread through the news. Even then, consumers who are in possession of defective items may learn much too late about the hazards associated with continued use of the product. According to a recent report from BioPharma Dive, the U.S. Food and Drug Administration (FDA) plans to “speed public notification of product recalls” to prevent personal injuries. 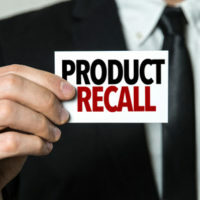 Earlier this month, the FDA indicated that it “decided the public would benefit by having recall information about FDA-regulated products as soon as possible, even though further evaluation remains to be done.” What that means is that the FDA plans to provide information about consumer product recalls even before the FDA has fully assessed the particular risk to consumers. This way, consumers can be in the know about whether they want to risk continued use of the product until the FDA makes a final determination, or whether they want to simply cease using the product due to the potential hazards. Since this speedy recall notice plan applies only to FDA-regulated products, consumers should be getting quicker information about food or medical products have that have been subject to recalls. Unfortunately, other items that are often subject to recalls due to injury risks—such as automobiles, furniture, and children’s toys—will not be included in the FDA’s plans to get a faster notice to consumers. There is clearly a need for quicker notice about FDA-regulated products that have been recalled. In 2017 alone, the FDA recalled more than 9,000 different products. The most commonly recalled items were food products (about 7,000 of those recalls), but consumer medications were also subject to thousands of recalls (about 2,000 of the total recalls). Consumers currently can receive information about FDA recalls through a “weekly online enforcement report.” The report will still be the primary way in which consumers will get information about recalled drugs and food products, but there will be a new category of “not-yet-classified” recall notices to alert consumers to potentially hazardous products. Sometimes it can take weeks or even months for the FDA to finish its recall classification. Now, consumers will have access to that information much sooner. What about other types of recalls? For automobile recalls, consumers can check their VIN number on Safercar.gov. The Consumer Product Safety Commission (CPSC) also provides consumers with information about recalls of electronics like smartphones, children’s toys, furniture, and other items. It is important for parents to stay informed about recalls, especially when they could cause child injuries. While not all product recalls are caused by extremely dangerous products, many recalls do alert consumers to the fact that they might sustain serious or even life-threatening injuries if they continue to use a particular product. If you were injured by a defective product, you should discuss your case with a product liability lawyer in Boca Raton as soon as possible. Contact Lesser Lesser Landy & Smith PLLC to learn more about how we can help with your case.